Unfortunately we have no great story to tell. Our recipes are not passed down from our great great grandmothers, and despite months of a jamon & saucisson only diet, we have been unable to trace even a hint of Spanish or French blood in any of us. So what do we base Croquetteman on? Basically our lifelong obsession with Croquetas and Croquettes, in fact, anything that you can cover in breadcrumbs and deep fry. 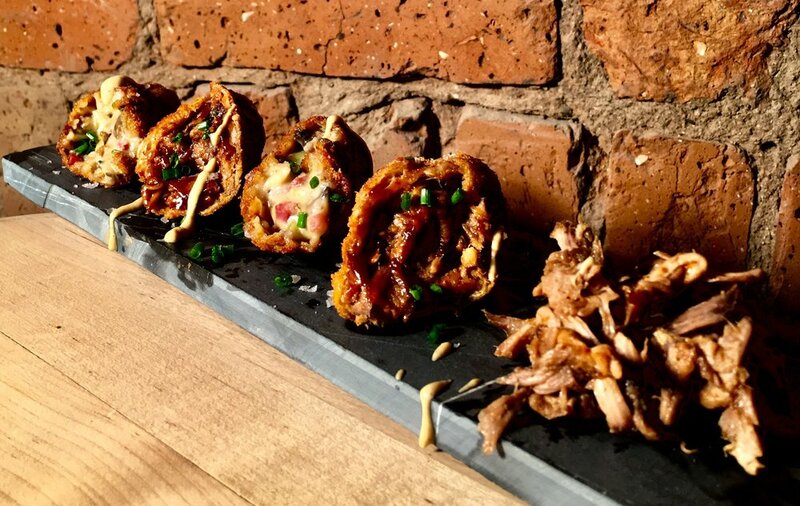 We are united by a serious gastronomic curiosity and a bizarre love of these crispy balls of gooey ecstasy. We believe that so far we have only scratched the surface of what they have to offer the culinary world! Our mission is simple - give the people what they want! 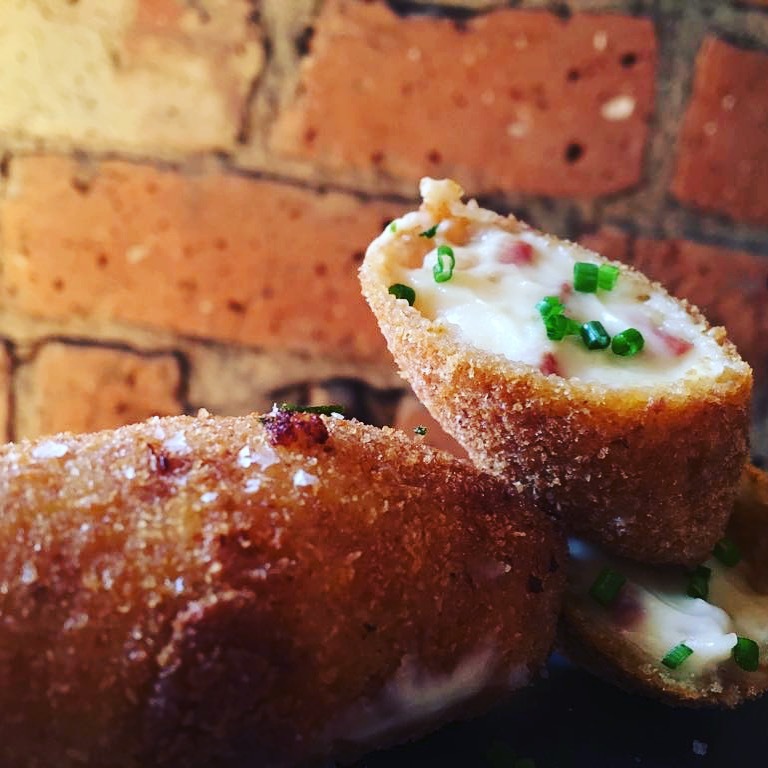 We love to hear from potential clients, street food events, feastivals, festivals or just anyone who loves croquetas as much as we do!